Sheep farming, whether for meat or wool, has always been an essential component in diversifying farming systems, particularly in exploiting land unsuitable for arable crops. The sector faces a range of challenges in meeting rising demand. There is an ongoing threat both from endemic and more exotic diseases. Consumer expectations about nutritional and sensory quality have never been higher. There is also greater concern about the environmental impact of animal production and animal welfare issues. Drawing on an international range of expertise, this book reviews research addressing these challenges. The first part of the book addresses quality issues affecting meat, wool and dairy products from sheep. The book then goes on to discuss advances in breeding before reviewing ways of improving sheep nutrition, health and welfare. The collection concludes by assessing the environmental impact of sheep production and ways it can be more effectively managed. Achieving sustainable production of sheep will be a standard reference for animal and food scientists in universities, government and other research centres and companies involved in supporting sheep farming. 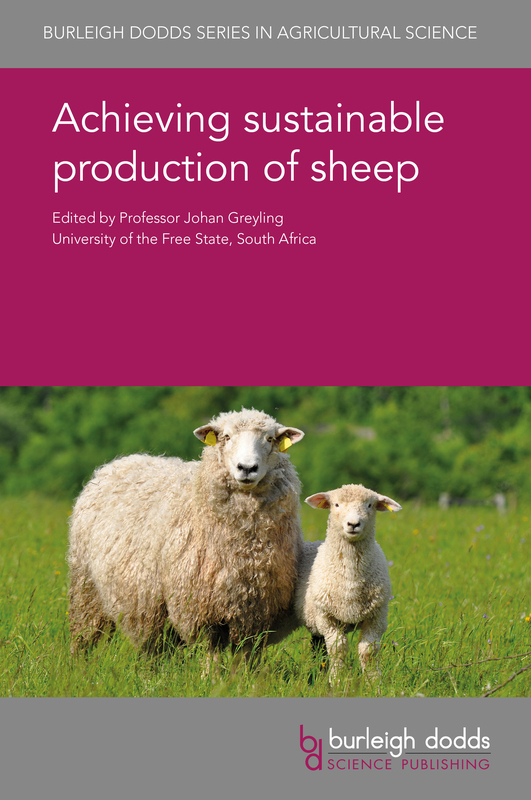 "The proposed book is almost encyclopaedic in coverage and includes the cream of the world's animal scientists specifically with expertise in sheep farming. The focus on sustainability is to be commended."